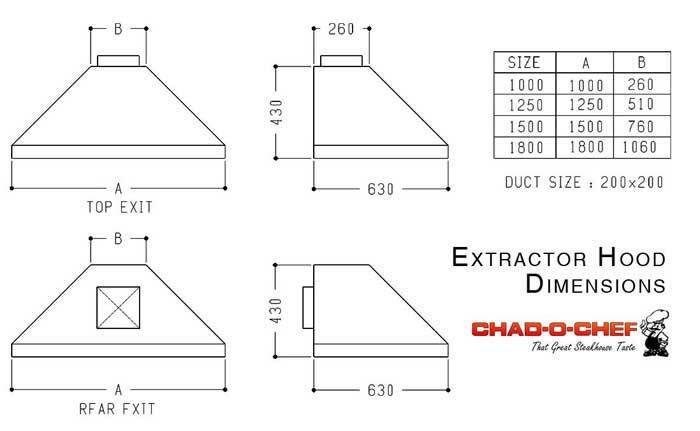 All canopies and hoods (except Chad-o-Chef griller hoods) are manufactured on special order, in all shapes and sizes and in different materials. Whether rectangular, square, hexagon or octogan we can make it from mildsteel, mildsteel powder-coated, 3cr12, 304 & 316 brushed stainless steel. Canopies can have top, rear or side outlets. 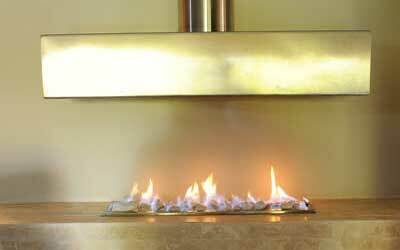 Speak to our personnel that can help you with your design. 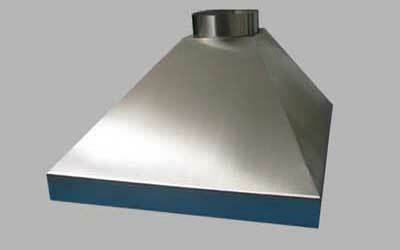 We can manufacture your special canopy in mildsteel, 3cr12, 304 & 316 Stainless Steel. 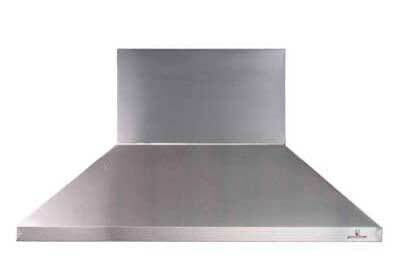 All Stainless steel canopies come in a brushed finish. 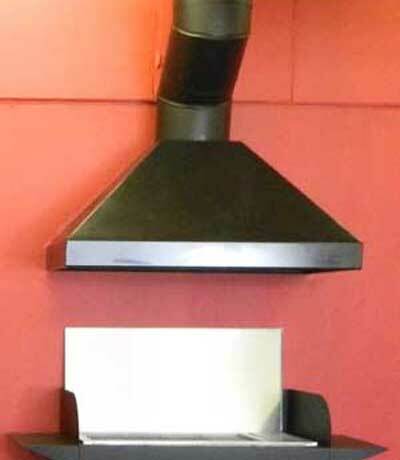 Featured above, is a dummy stainless steel canopy and flue above a ventfree gas drop-in burner. 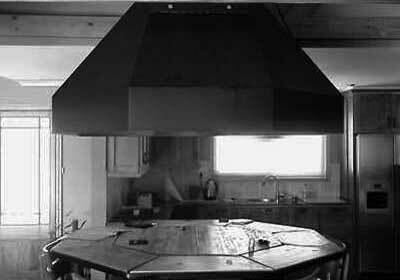 Exposed Canopy fitted to the wall above a gas BBQ. 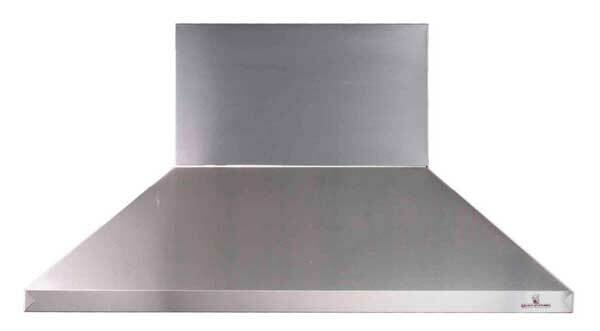 Chad-o-Chef manufactures stainless steel griller hoods to fit their standard Hob and Sizzler BBQ's. 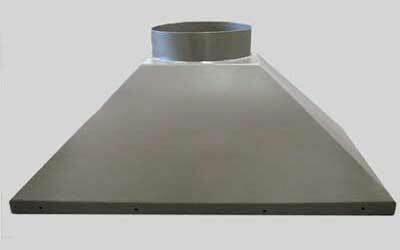 Only for use with an extractor fan.